I think the reason was probably that I was under the misconception that I needed a GPS to go geocaching. But when we started working with the Utah Office of Tourism (Visit Utah) last year as one of the pilot counties for their new state-wide geocaching program, I found out that there’s an app (of course there is) that you can download from geocaching.com. I downloaded it while sitting at my desk at work, and was surprised to see how many caches there were in Monticello! A couple of them were within a few blocks of my house and I walk by them almost daily! Before I went out to find locations for our five San Juan County caches, I decided to try my hand at locating my first geocache! I have to say, all it took was hearing that first ding on my phone telling me I was close and I was hooked! My first cache is pictured above- it was tiny and I am still surprised I found it. But when I did and I was signing the log, I was shocked to see how many recent signatures there were! It was the end of November and I think there were at least 2-3 signatures within the previous week! San Juan County is a huge county- 7,933 sq miles- so going out to place 5 caches is not necessarily a one day project. 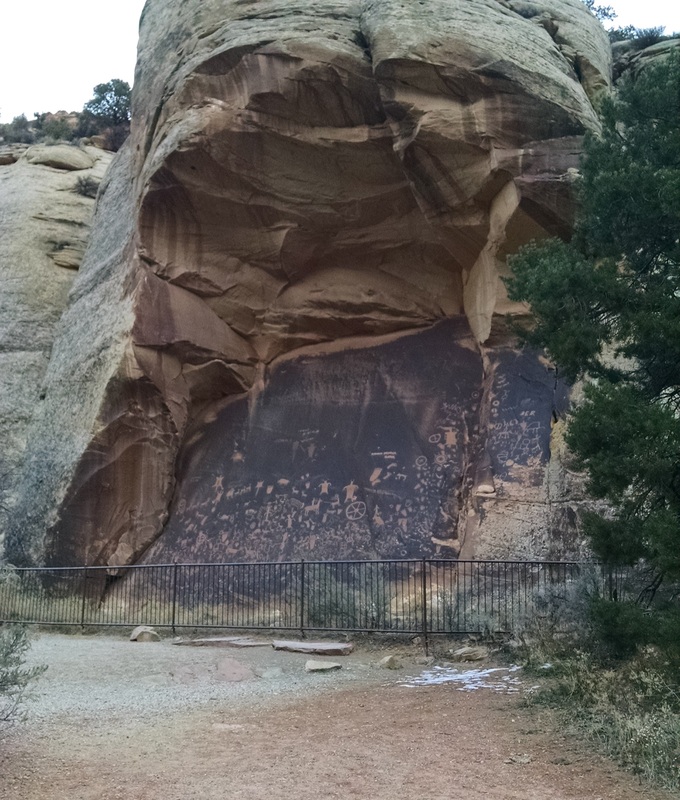 I decided to focus on the locations we were looking at in the south end of the county first; Goosenecks State Park, the Bluff Fort, and the Butler Wash Ruins on Hwy. 95. Although I was rushing and trying to plant the caches as fast as I could, I really enjoyed getting to visit some places in the county that I don’t get to very often. I mean, who doesn’t love Goosenecks?! And I get paid to go there! Doesn’t get much better than that! Visit Utah & San Juan County Schwag! As much as I enjoyed planting the caches, I wasn’t thrilled that it took me two days to place them. But part of the thought process behind this program was trying to get people to visit as much of each county as possible, so I guess that’s how it goes when you live in one of the largest counties in the country! (For those of you who love random trivia as much as I do, according to Wikipedia, San Juan is the 24th largest county in the US!) At least I got to see some beautiful scenery while I was out there! Plus, I got to take my favorite little geocaching partner with me to plant a couple of them, so I can’t complain about that! One way to try to encourage people who might not already be geocachers to participate in the program is by bribing them providing an incentive! 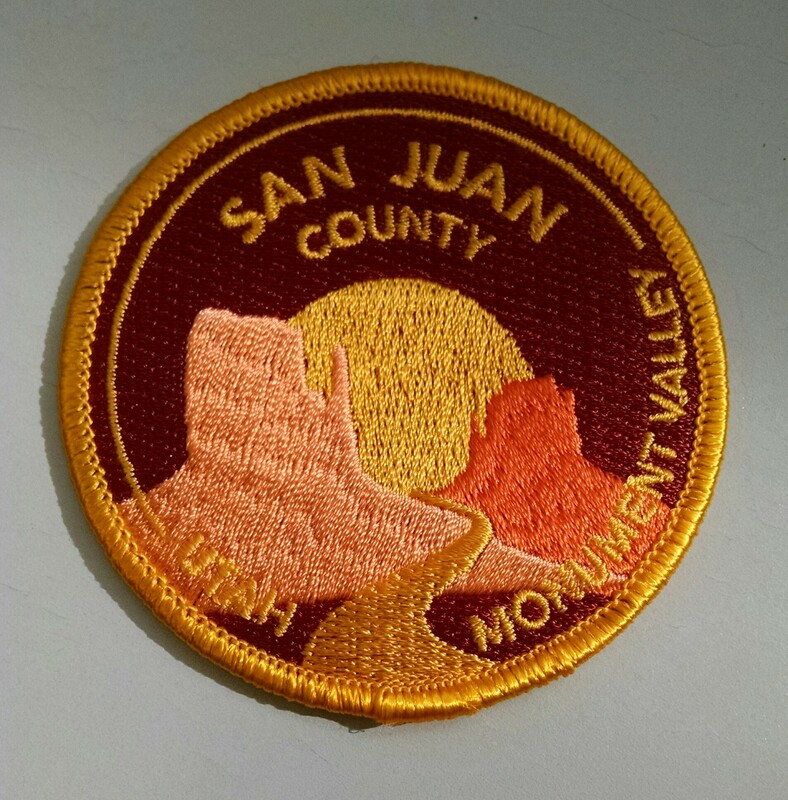 In this case, an awesome San Juan County, UT patch that was designed specifically for this program! All you have to do is find at least three of our five San Juan County caches, write down the codes that you will find inside, and take them to either the Blanding Visitor Center or Goulding’s Lodge in Monument Valley to receive your patch! 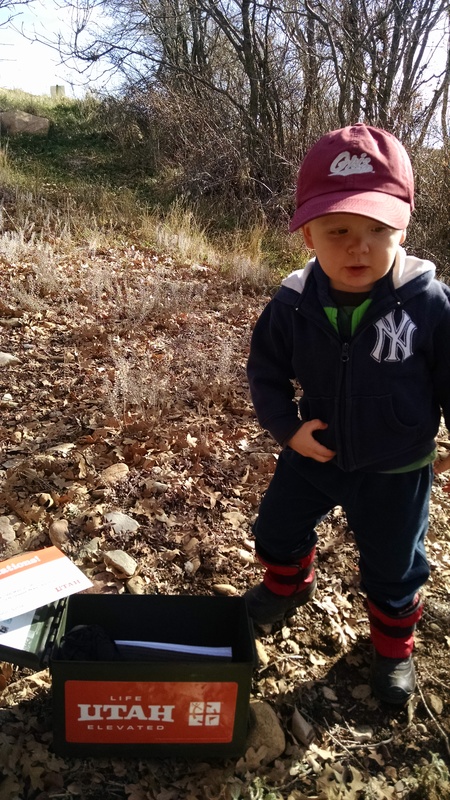 Currently, aside from San Juan, 7 other Utah counties have their caches planted and have patches available. (Box Elder, Daggett, Uintah, Utah, Carbon, Emery, and Iron) Here is a link to all of Visit Utah’s caches on geocaching.com. 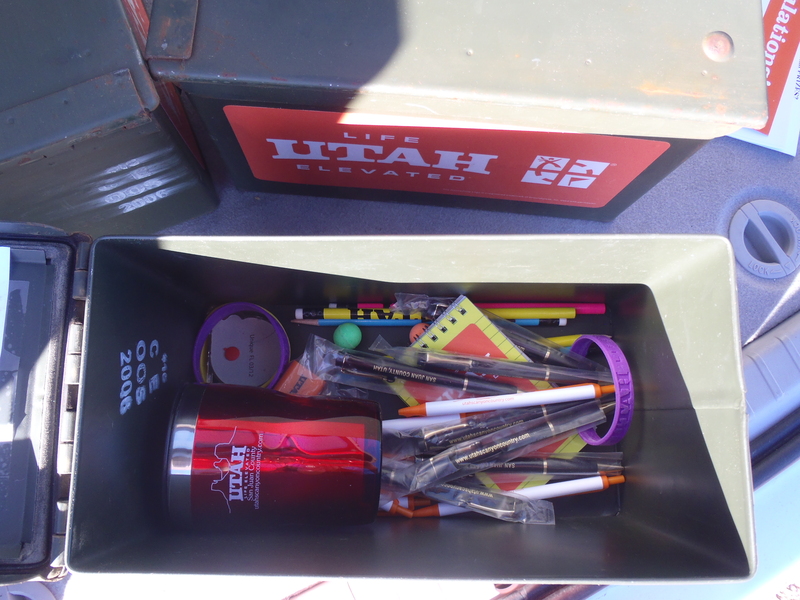 ***UPDATE 7-7-17*** All 29 Utah counties now have their Visit Utah GeoTour caches placed! 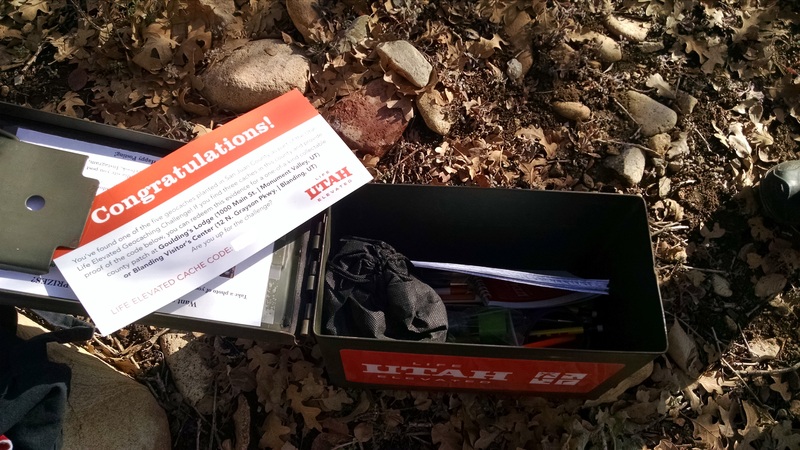 We’re also offering a chance at winning some extra Utah’s Canyon Country goodies by posting to our Facebook, Instagram, or Twitter after finding one of our caches. Details are inside each cache! This entry was posted in Blanding, Bluff, Bluff Fort, Geocaching, Giveaways, Monticello, Monument Valley, Off the Beaten Path, Ruins, State Parks, Things to do for FREE!, Things to do with kids, Travel, Utah, Visitor Centers and tagged Blanding, Bluff, Bluff Fort, Cedar Mesa, Geocaching, Giveaways, Goosenecks State Park, Hwy 211, Hwy 95, Indian Creek, Monticello, Monument Valley, Newspaper Rock, Off the Beaten Path, Rock Art, Ruins, State Parks, Things to do for FREE!, Things to do with kids, Travel, Utah, Visitor Centers. Bookmark the permalink. 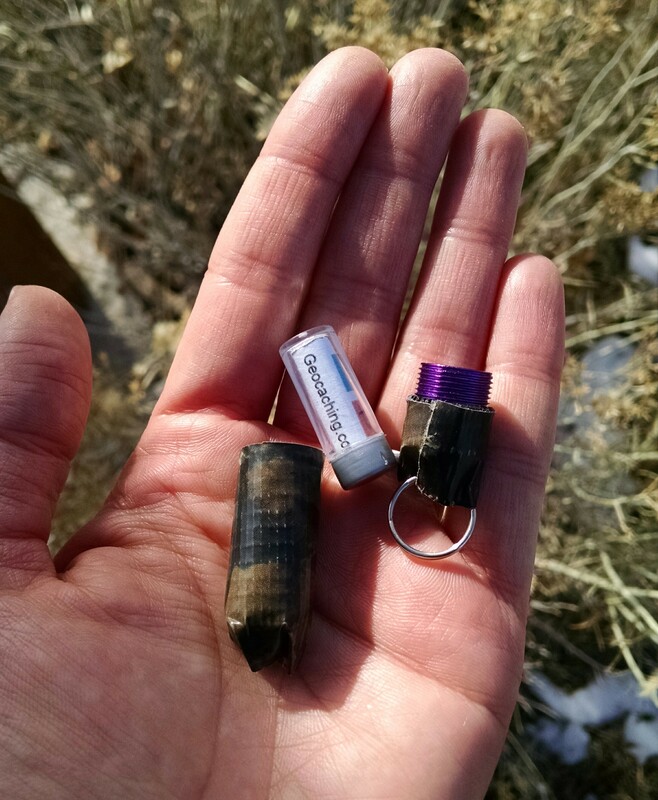 4 Responses to Geocaching in San Juan County, UT! How cool! I checked off a few geocaches when I was out there in May – I’ll have to make a point to hit the San Juan caches in September. Glad I found the blog, a lot of great info about one of my favorite parts of Utah! Yes! You’ll definitely have to look for the San Juan County caches- you only have to find 3 of them to get our patch, which was made specifically for this program and is only available to geocachers!